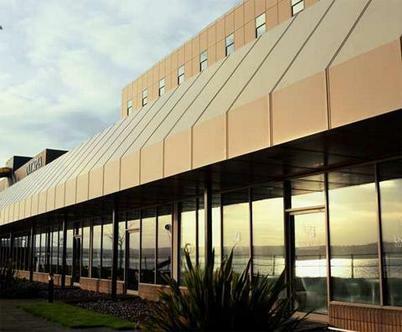 Relax by the River Tay in The Riverfront Bar and Grill or Caffe Cino at the Hilton Dundee hotel. Keep fit in the LivingWell Health Club with gym, pool and sauna. Do business in our 10 meeting rooms with wireless internet access, just 10 minutes from Dundee Airport. Look and feel good with a work out in the Hilton Dundee hotel's LivingWell Health Club or relax in the indoor pool and sauna. Explore nearby Dundee attractions, such as Discovery Point, and play golf at Carnoustie or St Andrews, before dining in the hotel's restaurants or bar. All Hilton Guest Rooms at the Hilton Dundee hotel have TVs and PlayStations. Step up to a Deluxe Room and enjoy views across the River Tay.